Officially released today, August 31st via Spinnin’ Records, “Best Part Of Me” is an anthem of a first single by powerhouse DJ/Producers Firebeatz and DubVision, who have joined forces to morph into METAFO4R. As solo acts, both Firebeatz and DubVision hold some of the most electrifying and melodic songs in the electronic scene today. Both artists are well-known and remarkably beloved for producing music that truly send chills down your entire spine and throughout your body. Time and time again, these Dutch maestros deliver live performances that remain all time favorites no matter the club, festival, or country across the globe. METAFO4R made their very first live debut as a supergroup earlier this year on EDC’s kineticFIELD stage in Las Vegas, followed up by Tomorrowland’s mainstage where they dropped more than 20 ID’s during their set. From its opening beats, “Best Part Of Me” strikes up with enormous feels, and immediately dives into heavenly male lead vocals that pierce through your ears in perfect harmony with METAFO4R’s chords. The underlying melody that soars until the end is reminiscent of the pure, classic, and high powered sound of electronic music that fills up festivals of tens of thousands. Meant to roar across the world’s biggest stages, “Best Part Of Me” boasts massive rhythms that build up into an all around grandiose dance masterpiece. The record absolutely nails soulful imagery, as each and every play gives way to new heart soaring fantasies about living in the moment and experiencing the euphoric symphony that rests at the core purpose of dance music. It takes special talent and gifted musical minds to come together for such a powerful and infectious first release. METAFO4R is proving right out of the gate that they are filled with nothing but heart, soul, and desire to create music that floods the world with positive energy and radiant vibrations. 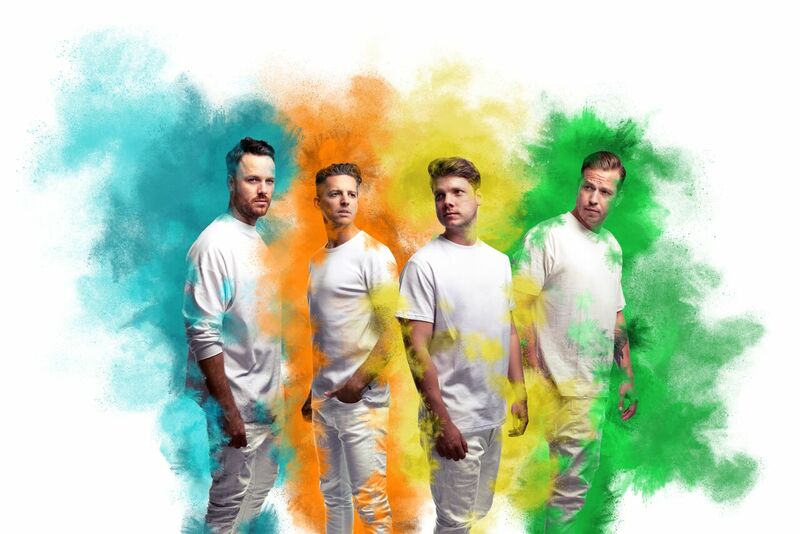 It’s DubVision and Firebeatz, but tilted and colorized with each member in possession of their own neon color. It’s built on the fortitude of two outstanding duo’s, but adds new chemistry with a mission to revive the rave culture that started it all.